Guidance on how to co-parent with your former spouse or significant other such that your stress levels are reduced and your relationships with your children and their other parent are improved. 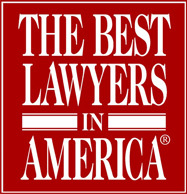 The attorneys at Gordon, Tepper & DeCoursey, L.L.P. represent litigants in a variety of local Family Courts as our offices are located conveniently in the Capital District near Ballston Spa, Clifton Park and Saratoga Springs. We have guided numerous clients through support, custody and family offense proceedings and we know the stress, frustration and fear that court proceedings can bring to the parties. As experienced litigators and court attorneys we are here to assist you in your Family Court matter and provide you with our experience, knowledge and guidance for these most important legal proceedings.